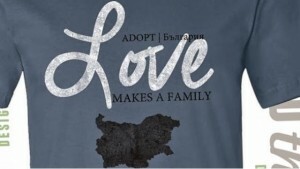 Archive by category "Bulgaria Adoption"
Bulgarian Siblings Need a Family! UPDATE: We’re happy to announce that a family has officially submitted matching paperwork for these siblings! Our Bulgarian matching specialists just started advocating for an adorable sibling group! They’re excited to begin matching them with a forever family. These four siblings (three sisters and 1 brother) are 3, 5, 6, and 7 years old and currently live in a foster home. They are all healthy and doing very well developmentally. Their favorite activities include singing and dancing. Also, the sisters love poems, and the brother dreams of having a remote control car. These precious kids need a family who will adopt them as a group in order to keep them together. 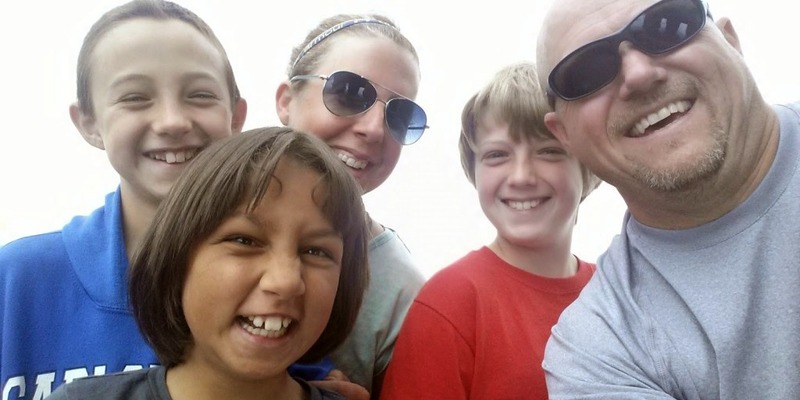 Have you considered adopting a sibling group before? Click here for six great reasons why you should adopt siblings and what to expect! Due to the privacy policies with the Bulgarian government, their full photo is not allowed to be posted publicly. If you or someone you know is interested in learning more about them, please contact our Senior Adoption Counselor Hilary at hilary@childrenofallnations.com or 512-323-9595 ext. 3062 today! Even if you are unable to adopt these wonderful kids, please help us advocate for them by sharing their information! 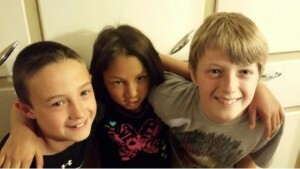 Most of all, we would love to see these kids find a loving, permanent family to call their own. If you’re interested in learning more about Children of All Nations’ Bulgaria Waiting Child adoption program, visit our Bulgaria webpage or contact our adoption specialists today! November 6, 2013 – The Journey Continues!! First off, I would like to THANK everyone for all their thoughts and prayers through this wonderful journey!! Amy and I started this process over 14 months ago and God has blessed us all the way through the journey!! Here is a little history of our journey: For many years Amy and I have wanted to adopt once our two boys, Stephen and Coen, were a little older. We have heard the call that we are to provide a home for orphaned children. We contemplated domestic and international adoption, and then after I went on two trips to India, I saw the need. After prayer, God led us to adopt from Bulgaria. Amy and I decided that we would like to adopt a child(ren) between the age of three years old and younger than Coen. We would also consider adopting a sibling group. In February, we received the “Waiting Child” list from our adoption agency (Children of All Nations – CAN). The Waiting Child is a list of children that are either a sibling group, getting close to ageing out of adoption, and/or have special needs. We reviewed the list and it only contained two Bulgarian profiles. The first was for three great looking brothers, but two of them were older than our boys and we wanted Stephen and Coen to be the older siblings. The second profile was for an almost 9 year old girl. We read through her profile and as we read we started to feel that indescribable feeling like she is the one. She had been in the orphanages since she was very young and is socially behind. We continued to review all we could and that is when Amy said the words I will never forget….”Sounds like she needs a teacher for a Mommy!” That is when it felt right! Then we see the bottom of her profile and the phrase “File Pending.” We were heartbroken. The next morning, Amy and I decided we still needed to ask for more information, even if it was just to know more about this precious little girl. So we did. Within an hour, Amy received a phone call from the agency. They were ecstatic!! Apparently, the family looking into adopting her had to discontinue their adoption process for reasons not pertaining to this little girl. The agency can only hold a child’s profile for so long and that period was only five days from expiring. We went from heartbreak to warm hearted and requested the rest of her profile. On Valentine’s Day, Amy and I signed an agreement to adopt this precious little girl. From here on out, I will refer to our daughter as “Z” for privacy reasons. From February to May we completed all our adoption processes and received our home study approval. Then during the summer we received our approval from Homeland Security. 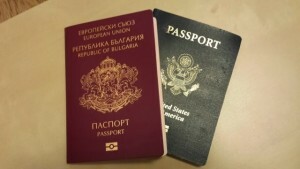 Our dossier was sent to Bulgaria and by mid August, we received our approval from the Ministry of Justice in Bulgaria. That brings us to today, November 6, 2013 Amy and I are now packing our bags to head to Bulgaria (well I guess I am typing a blog….but I have started to pack). Tomorrow, after Amy completes her day of teaching, we will deliver the boys to Amy’s parents and we will drive to Dallas. I want to THANK Johnny and Cindi Walker and my parents, Mark and Jan Hollis for watching the boys while we are in Bulgaria. We fly to Bulgaria on Friday and will arrive in Sofia, Bulgaria by Sunday afternoon. From then on, we will be taken care of by the AMOR (the adoption agency that partners with CAN). They will pick us up from the airport in Sofia and help us get settled, and will even take us site seeing on Sunday. On Monday, November 11, we will travel to Montana, Bulgaria. This is where we will spend the week. November 11, will be a glorious day!! We will travel to the small village where the orphanage is and we will get to meet “Z” for the first time! We will actually get to see our daughter that we have been praying and dreaming about for almost 9 months! WHAT AN AMAZING DAY THIS WILL BE!!!!!! I will stop here (as I need to pack and make another dreaded trip to Wal-Mart). I will do my best to keep everyone posted during our travels. Please feel free to share this blog with others, but for those that do know our little “Z’s” name, please do not share it over the Internet for privacy reasons. Please continue to keep us in your thoughts and prayers. Please pray that we will be able to communicate and bond during this time. Neither she, nor anyone at the orphanage speak or understand English, so we will have a translator from the adoption agency present during the whole trip. We pray that our new daughter will be at peace and accepting of us. She most likely did not know about us or the adoption until about a week or two ago, so this very well can be frightening for her. Amy and I stayed up past 1 am getting things packed. Not only did we need to make sure we are all set to go and have all we need, we needed to ensure the boys are packed to stay with grandparents. To add to the headache, Coen has a science project due before our return so we needed to help him finish his science board. Today, I have been finishing up the packing and running errands. I finally found some small gifts to give to the care givers at the orphanage. That took the bulk of my morning as I drove from store to store to gift shop to gift shop and no luck. Then right when I was about to give up, I thought “what about the Living Desert Zoo gift shop? !” So I gave it a shot and found what I was looking for! We already bought the other 14 children in the orphanage something small, like glow in the dark bracelets, coloring books and colors. We also bought friendship bracelets for them to make. As soon as Amy gets done teaching today, we will get the boys delivered to Mamaw and Papaw’s house and we will start our long drive to Dallas. Amy needs extra prayer as she is sick (sore throat, achy, headache…..). She did make it to the doctor yesterday and was able to get antibiotics. We have also loaded up with Emergen-C and Airbourne. Not sure if I will get a chance to update until getting to Bulgaria Saturday afternoon. The time difference is nine hours so timing will be off as well. Today was a great day! First off, our travels were as smooth as could be! Thanks for all the prayers for safe and uneventful travels. Every flight left on time and our luggage was some of the first on the carousel. Then Bulgarian customs was non-existent as we only had to state why we were here, got our stamp, and on out the door we went. Right outside the door was our interpreters Ivan and driver Martin were there to greet us. Since we arrived in Sofia on Saturday and we cannot go meet “Z’ until Monday, Ivan and Martin asked if they could take us to the Rila Monestary near Sofia. We said yes and I am so glad we did!! Both Ivan and Martin are super nice and are somewhat Bulgarian historians. It was gorgeous!! It is in the mountains so we got to see the fall colors and beautiful scenery. The monestary was unbelievable!! Bulgaria is so rich in history! It was so hard to fathom some of the articles in the museum with dates in the first century (of course the history of Bulgaria, or the territory has BC history). The monastery temple itself was just amazing. Every square inch is painted, inside and out! The details are beautiful!! We then took a hike up the mountain to view other areas the Saints and monks have used. The mountain air was nice and relaxing!! It was so nice to get to know Ivan and Martin. God has blessed us from the beginning of this process and providing two very nice guides/interpreters is all part of His plan!!! Martin will not be able to continue his time with us throughout the week as he and his wife are expecting twins this week. So we pray all goes well with him and his wife! Early tomorrow, we will leave for Montana, Bulgaria. This is the city/village where we will spend the next five days. We will travel between Montana and the village, Gavril Genova. This village is where the orphanage is located. Therefore, tomorrow……we meet our beautiful daughter (just typing that sent a chill down my spine and a tear down my cheek)! We are so excited! So hard to believe the time is here! Thank you GOD for all you have done for Amy, myself and our family!! Well it is getting late here in Bulgaria and we will have a long day tomorrow! Goodnight to you all and please keep us and “Z” in your thoughts and prayers!! Today, November 11 (Veterans Day), was a glorious day and will be remembered by Amy and I forever!! Once again, thank you everyone that has prayed for our journey and for “Z.” Amy and I had nervous anxiety going into today. 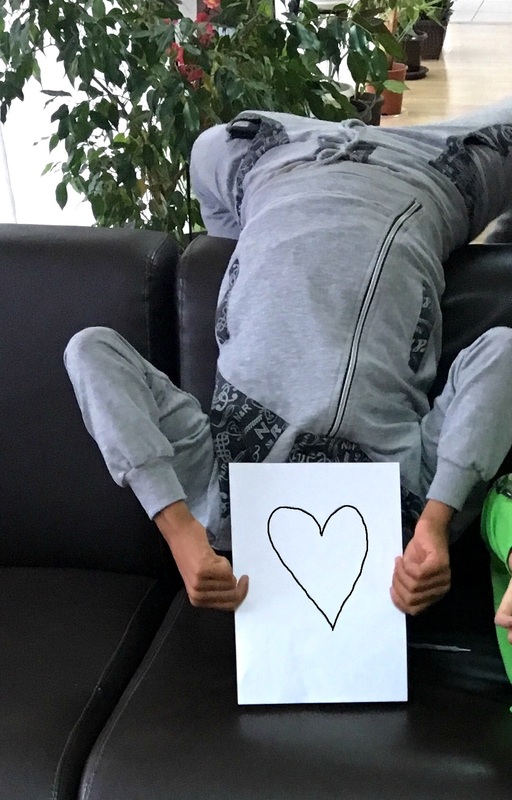 Before leaving for Gavril Genova, the AMOR agents Moya and Ivan let us know that Z was excited about the meeting, but we still had some nervous feelings, but we also knew God was blessing this adoption (but we are human and let our own emotions get in the way). We got to the orphanage and met the head master and “Z’s” social worker. After answering some questions, “Z” was brought to the room. There are no words that can describe how awesome it was. For me, it ranked up there with marrying Amy, and the birth of our two sons! It was glorious!! She came in the room with a beautiful smile and immediately gave Amy and I a hug! We gave her a little stuffed bear which she named immediately after a life long friend of hers that is also in the process of being adopted. Then she started to look at the scrap book we created (Amy did a great job putting this together). The first page is a picture of Amy and I, and she quickly pointed at the picture and said Momma and Daddy!! I think Amy and I nearly lost it, but stayed composed. She was so excited to go through the scrap book from front to back. I think she went through it thirty plus times throughout the day. When it was time for “Z” to show us her room, she reached out and grabbed Amy’s hand and said, “come Momma!” Once again, I had to fight back tears (OK, I was losing the battle, but stayed composed). We then went to the instruction room and got to chat with her and she was just so excited to be with us! She was going 100 miles an hour! I thank God for all the times she called us Momma and Daddy and gave us hugs. For lunch, we went to a little restaurant in the village and as we walked to the car she held Amy’s hand like she had been her momma forever! It was so heart warming to see!! Then as we get in the car, she sat between Amy and I and she reached out and took my hand and held it close to her! What Daddy doesn’t like that?! I will cherish that moment forever! At the restaurant, she just continued to be the star of the moment!! By the way, for such a little girl, she sure has an appetite and is not a picky eater. Then she reached up and gave me a kiss on the cheek….Yep, you guessed it, I had to choke back the tears again! After leaving the restaurant we went to a nearby monestary for St. John the Baptist. We toured the monestary and after leaving the temple we see many priests and monks on the other end of the courtyard. That is when all our guides’ jaws dropped as the high patriarch of Bulgaria was among the group of men, Patriarch Simeon Nikolov Dimitrov. Maya, wanted to get closer and was holding “Z’s” hand and made it to the bottom of the steps he had just climbed up with all the other priests and monks. He looked down and requested that she come up with “Z”. So she did. That is when Maya explained that she is being adopted and will be going to America soon. He immediately blessed “Z” and then looked down at us and sent us his blessing as well! I wish I had a camera to get the facial expressions from the agency as this happened. Right after the blessing, “Z” walked to the edge of the balcony, looked down at Amy and I and blew us a big kiss!! (YES, Amy and I shed another tear!) It was a glorious moment! Amy and I may not be Catholic (actually Bulgarian Orthodox), but that was AMAZING!! And to receive a blessing from the highest priest of Bulgaria, was a nice feeling!! We went back to the orphanage and spent more glorious time with “Z” and it was great! Again, just hearing Momma and Daddy was amazing!! Tomorrow we will spend another day with her and will focus more on our entire family!! I cannot wait to continue to share!! Thanks again for all the prayers!! Please, keep it up!! The day was awesome! After a very pleasant tour of the monastery and gaining more knowledge of the rich history, we headed into the village and met the director of social services as she wanted to meet us. We also got to meet the owners of “The Guest House,” a hotel, restaurant and place where they make and trade carpets (rugs). After touring a museum nearby, we went and were hosted in their restaurant. To say the least, Amy and I have been treated with royalty the entire time here. We had the most pleasant lunch. The food was great and the company was awesome! The director of social services said that “Z” is very fortunate! Illia Dimitrov, the owner of the Guest House was an awesome host and fed us good. But that is not all; it just kept getting better and better! Illia, then asked if Amy would like to see how the carpet’s are made. So we went into the next room and Amy received a quick lesson and was then asked to sit down and give it a try. Amy learned that it is a tough job!! But, wait there is more…….Illia then pulled out a very small rug (see photo) and started to explain the meaning of the design. He said that it represents a Wing. The wing is to provide protection (like a bird protects its young. It also depicts a cross when looked at a different angle – I have pictures on my phone that depict it better). He then proceeded to hand it to Amy and said he would be honored for us to have this rug! He too was blessing our adoption of “Z!” Not sure if it is custom here in Bulgaria, but I gave him a big hug!! We will cherish this rug forever!! Our trip to Bulgaria has been such a blessing!! “Z” is a true gift from God and we are so proud to be able to be her Mommo and Daddy!! I cannot wait for the rest of our family and friends to see our little spark plug of a daughter!! She is amazing! And by the way….She rules the moment and is very strong willed! I have also figured out why I hear “daughters have their fathers wrapped around their fingers.” That is for sure! “Z” has me whipped already!! Funny story about our drive back to the orphanage: Her social worker, Sonia, was teasing her with the bear we bought her saying it was hers and not “Z’s” and they were having fun with the gag. “Z” then said, “that is ok, Daddy will get me another one.” Yep, I am pretty sure I would as she has already won my heart. On that note, watch out boys, she is a Daddy’s girl and I will protect her how ever I can!!!! Don’t get me wrong though, she is a Mommo’s girl too! I love to watch Amy and “Z” together! It is so cool to watch Amy and her walk, holding hands. Amy is so good with her! There is already a special bond between them!! Today was our third day to spend with “Z.” Again, “Z” was very excited to see us when we arrived at the orphanage. We looked into all our options on how to spend the day and decided not to do so much of the tourist stuff (though we have enjoyed doing that with “Z”). We started the day by just staying at the orphanage and played a game similar to the board game, Sorry. During the game we are trying to work with her on her counting and we can see she does pretty good as long as she/we stay focused. It is also helping Amy and I learn basic Bulgarian such as counting (though Amy is always correcting me). 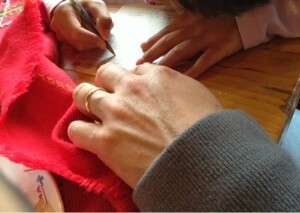 After playing the game we broke out the friendship bracelet supplies to teach her how to make one. Thank you Mamaw for buying these as they were a hit with “Z” and look like they will be for the rest of the children as well. 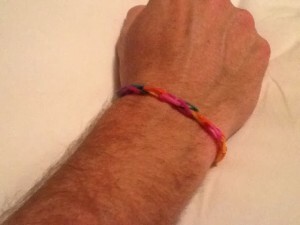 “Z” made multiple braclets and gave one to her caregiver, Sonia. “Z” also wore about three or four of them throughout the day. But I sure do love the one she made for me (see photo below). Pretty sure I willl be wearing mine for a long time! After making bracelets we planned out the rest of the day. The orphanage care giver and head master told Ivan that we would be allowed to spend some time today with only her as they really trusted us, and “Z” was so comfortable with us (like we have known each other for so long). We were so excited about this!! So we headed to Montana and stopped by a photo place and got “Z’s” photo taken for her Visa. Then we went to lunch and enjoyed our time with “Z.” Along with us, was our interpreter, Ivan (pronounced Eevon) and Maya’s son who is driving us around. Near the end of our lunch, “Z” and Amy went to the restroom and while they were out, Maya’s son who has been around adopting families many times, including having an adopted brother, told me he cannot believe how our bond with “Z” is so strong in such a short time. He stated that he felt like we have been together for months! I was very touched with all he had to say! Even Ivan has told us that the bond between “Z” and us is beyond normal and a very positive thing! We completed lunch and we brought “Z” to our hotel room and we played with modelling clay. She really enjoyed it!! I made a beautiful sun and turtle with my clay (well probably not as nice as I made it out to be). The biggest thing was not making things with clay, it was the time we were able to spend just with “Z” (Ivan was also with us as we need help in communicating). We had a lot of fun. In addition, we are learning many things. We are learning how we will need to better our Bulgarian and we are learning so much about “Z’s” abilities. One thing I have not mentioned in our previous blogs…..”Z” has such a contagious laugh! It is priceless!! After our time with “Z,” we headed back to the orphanage. Once there, we played games until the other children arrived back at the orphanage from school. Amy and I had small gifts for them all. The children from young to pre-teen sat down and received their gifts (coloring books and colors, glow in the dark bracelets and were told about the friendship bracelets). They were so grateful to receive the gifts regardless of how small they were. Then they sang a song to us to reflect their appreciation! Amy and I kept a smile going, but were so overwhelmed with emotion on the inside. 14 children needing a loving home. The children sang so beautifully!! Then they all individually came to hug us and talk to us with interest in hearing us speak as Americans. Amy and I wish we could take them all home as they are all so wonderful! Most importantly though, we continued to make “Z” number one during it all! “Z” is the star in our lives right now, and though we will not be able to provide for all these children, we are going to give “Z” a loving and caring home! My favorite moment during our time with the children was when “Z” asked if I could pick her up and hold her and she squeezed onto me and held on with a loving hug that lasted at least a minute long! The hug was so loving and warm that I still feel it now!! I gave her a kiss on the cheek and told her Obicham Te (I Love You)! Immediately she replied with Obicham Te Daddy! Sure love hearing those words!! Then it was time to say Chao. We got our good night hugs and kisses and headed to the car. It was another great day! It was even heartwarming to look back at the orphanage and see so many of the other children looking through their bedroom windows saying good bye and blowing us kisses! On a side note from having such a wonderful and glorious time with our beautiful “Z,” Amy and I have created a great bond with Ivan! He is a young man with a great heart! He is so good with the children and is so passionate about his job! The kids call him chicho (uncle) Ivan. I think that made Ivan tear up a little!! Tomorrow will be our last full day with “Z” on this trip. Friday, we will only be able to see her in the morning as Amy and I will have to head back to Sofia and complete paper work. We are not looking forward to this time! It will definately be bitter sweet. We miss Stephen and Coen so much, but it will also he heartbreaking to leave “Z” here! We have heard it could take up to 6 months to complete the process of finalizing the adoption (6 months is generally a worse case scenario, so we hope it is closer to under 4 months). While I am proud to be an American, it is because of our government dragging their feet that will cause this delay! It is so sad to hear from the international adoption agency that America is the hardest and longest place to complete an adoption because of all the red tape!! The adoption agency we use (CAN) is fantastic and is quick, it is just the processes done via our slow moving government that drags the process. So because of that we will be a world apart from our “Z” until it is all completed! Sorry, did not mean to rant, just already heartbroken we could be without “Z” for so long!! And as a Daddy….I am her protector and I will be on the other side of the planet and that is very hard for me to fathom!! But for now….Amy and I are going to enjoy every minute we have with “Z” while here in Bulgaria!! Again, please keep us and “Z” in your thoughts and prayers and pray for a speedy process!! Today was our fourth with “Z” and as with our previous days, we are gaining more insight with her. We went to another monastery today, the Klisurski Monastery of St. Cyril and St. Methodius. On the way to the monastery we had to pass through Berkovitsa, the birthplace for “Z.” When asked if “Z” was ok with going through her birthplace, she was somewhat reluctant as she pretty much stated she does not care about Berkovitsa because that is where her biological mother lives. But she agreed to go since Mommo and Daddy were with her. “Z” asked if I could pick her up and hold her and I did so the entire time before leaving for the monastery. I may have pinched a nerve in my neck sleeping last night, but there is no way I am going to deny my precious daughter! I held her tight!. We all jumped in the vehicle and headed towards Berkovitsa and the monastery. The entire way, she held our hands. At the monastery, we toured the courtyard and made our way to the temple. As with all the monasteries we visited, they sell items to raise funds. We asked Ivan what we should get “Z” as we felt like we should get her something from the monastery near her birthplace. So Ivan asked the nun what she felt would be a nice gift. She asked her name and we told her and she stated that her name means “To Live,” in which she said….”like the resurrection.” That sent chills down my spine. “Z” was not inclined to be near the place she was born as she was abandoned (death) but now God has brought her with Amy and I to give her a new life. How cool is that!! God Is Good!! After leaving the monastery we went to a nearby restaraunt and enjoyed another great meal (I really like the Bulgarian cuisine)! After eating we just sat and chatted. Amy found a pen and gave it to “Z” to write with on a tablet. We wrote and drew different things. It is so cool for her to draw a house, representing our house in Carlsbad, and she wants to draw the window where her room will be. Every time she looks at the photo album she turns to the page with our house and points at the window of her bedroom. She is very proud of it and shows it to everyone. Amy took a picture of her hand writing with me (see below). After lunch we headed back to the orphanage (about a 30 plus kilometer drive) so we had more time with “Z” holding our hands. “Z” was fairly tired and leaned on me laid on my lap for most of the drive. It was very precious! On the drive, we were also reminded that tomorrow (Friday) will be our last day to see “Z” and it will only be a short, short visit. I stated I did not want to talk about that as I almost break down each time I think of that. We changed the conversation and Sonia started to discuss in Bulgarian to Ivan and Dimo about “Z” since we started seeing her this week After getting it interpreted back, Dimo and Ivan were pleased to translate back that “Z” has surprised the orphanage staff immensely this week. I guess, the staff would be so frustrated with her because she never speaks and only points at what she wants. Since we have been here, she has not stopped talking and she is like a different person. She has come to life and has made them all so happy with her progress in a short time. What a blessing this was to hear!! I may or may not post tomorrow. Tomorrow after our short visit with “Z” we will head back to Sofia and start the paperwork to make “Z” our daughter. We even must give “Z” her official name (tonight we have to provide it). I so appreciate all the support and encouraging messages we have received while on this journey. It is because of all the prayer and support, this trip has been such a blessing! We appreciate all our family for all their help and support. We also appreciate all our friends for all they have done to support us and we so appreciate our employers for allowing us the time to take off during this time!! Thank you all!! God Bless you all!! We then played our usual games, Sorry and Memory. There were two different counselors at the orphanage today and they were very nice. They gave us their blessings and one said they will pray that our process will be swift and that we will be re-united with Z fast. Then 11:20am arrived and it was time to start saying goodbye. You could tell “Z” was more somber, but as I mentioned yesterday, she has been in the orphanage all her life (9 years) and she knows the routine. She grabbed our hands as we walked to the door. I then picked her up and held her. She gave Amy and I our kisses, we told each other we loved each other, and we gave her our promise we will return as soon as we could to take her home! I held Z as long as I could…..until they said it was time to go! We walked towards the car, turned back and gave our final waves goodbye………and drove off towards Sofia. Amy and I stayed strong, but I can tell you we were missing her before we got a block away! Sure wish we could hold her for a little longer!! The trek to Sofia is about 130 kilometers (about 81 miles for us silly Americans). Amy and I dosed off for most of the trip. We arrived in Sofia and made our way to the AMOR adoption agency. Once there, we ate a snack and then gathered our contract to adopt “Z.” Then it was off to the notary to make it official. A notary in Bulgaria is much more prestigious here and in fact, a notary is just shy of being a lawyer. The notary read the six separate documents to make our adoption application for “Z” official. Then he read the name we have given “Z.” Amy and I are keeping her first name, removing her middle name which was her biological mother’s name. Then we are keeping her original surname and moving it to the middle. Her last name is no secret…Hollis. The AMOR and the notary were so honored and gracious that we are keeping Z’s heritage surname. They said that was just so nice we are keeping her heritage. It was so cool to here the notary read her name. The six documents have been signed and now the process is back in our hands. We now start the process again with the US Homeland Security/Immigration services to officially apply to adopt “Z.” We have already done this once, but it was only to get our aproval to adopt internationally, not adopt “Z” specifically. According to AMOR, this could take until as late as June to complete. But one thing we have learned is that Bulgarians tell you the worse case scenario and Americans tell you the best case scenario. So this means, it could be anywhere between 4 and 6 months. I sure pray it is closer to the 4 months. Another reason, it would be nice to be completed in 4 months is because, if the process goes beyond March 6, “Z” will turn 10 then. At age 10, adopted children are required to go to court and be interviewed and this could be difficult for her. But it is all in God’s hands and all will goes accordingly to his plan! We have many pictures of “Z” and will look at them everyday until we are re-united! We will also start preparing her room. Painting it yellow, her favorite color. Sunday, November 17, 2013 – Time to come home. We have had a wonderful trip! God truly blessed us with a beautiful daughter! It is now time to head home. We miss Stephen and Coen so much and can’t wait to see them! On our trip we met and gained a daughter. We also gained friends. Ivan (pronounced Eevon) was such a great guide and Bulgarian host! He was and is instrumental in our adoption process. Ivan has become family. Below is a picture of Ivan and his girl friend at dinner last night. Please pray for smooth and safe travels. We have a very fast connection in London and we just found out one ticket is standby (girl at counter acted like it should be no big deal). We should be home Monday afternoon. Amy and I were so glad to get home and see Stephen and Coen as we missed them so much and they are our pride and joys and we LOVE them with our whole heart! It was nice to walk in and get giant hugs from both of them! Again, we thank our parents for watching them while we were gone.It has now been a week since we last saw “Z” and it has been tough without her. Since being home, we have shared additional stories with our family about our time in Bulgaria. I can tell you…Amy and I keep remembering our time with “Z” and it is the little things that we miss.We miss………………..
Orange juice……she would drink a bottle of Cappy orange juice with every meal (Cappy, is Minute Maid). Her never ending jabber box…….And remember, we were told she did not speak much at all, but when we showed up, she could not stop. God Is Good!! “Ahhhhh Shest!” Shest is Six in Bulgarian. We would play Sorry and every time someone rolled a six, she would say “Ahhhh Shest!” Half the time, she would cheat to get a six. Her politeness!!!! No matter how small the help, she would say Merci, Daddy or Merci Mommo! Obicham Te, Daddy and Mommo!!!!!! of course, I miss so dearly every time she would ask me to pick her up and hold her! I still wish I could squeeze on to her! Why did I have to put her down? Why did we have to say good bye? I guess what I am trying to say is, WE MISS “Z” SO MUCH!! Now that we are home, we have started the paperwork to complete the adoption. We have only been approved to adopt internationally. We must now get processed to adopt “Z.” I have spent the entire week getting the paperwork completed. Because of the time difference between Bulgaria and Carlsbad, there are delays when additional information is needed or questions need answered. The paperwork is complete now and as soon as we get two letters from the adoption agency, we will get it mailed off for processing. I can tell you the devil has raised his head a couple times, but I can assure you God conquered and has reminded us that “Z” is our daughter and he will guide us through the process and bring us back together soon!! Please continue to pray for us! Please pray that “Z” knows and understands we will be back to get her and bring her home! I gave her my promise that Mommo and Daddy will be back! Well it has been quite some time since I last posted to the blog. For the most part, it is because Amy and I have been in wait mode. However, the process has been in motion since we returned from Bulgaria back in November.As soon as we returned from Bulgaria, Amy and I completed the I-800 application. This process was estimated to take 30 days, and almost to the date, we received the I-800 approval in the mail around Christmas time. Then the National Visa Center (NVC) letter came in the mail about 10 days later. We now had all the information necessary to complete the visa application (DS-260). The DS-260 was then submitted and within a week we received notification from Children of All Nations, our adoption agency, that the US Embassy in Bulgaria received all our documents. The next step was for our Bulgarian representative, AMOR, to make an appointment with the embassy for an interview on our behalf. AMOR was successful at scheduling an interview quickly and afterwards, heard the interview went well. The very next day, the embassy provided to AMOR our article 5 letter. The AMOR then took our file, including the article 5 letter and had it translated and legalized. On January 30th or 31st, the AMOR submitted our documentation to the Bulgarian Ministry of Justice.That brings us to today….As of now, we are waiting for the judge to make a final ruling on our adoption! This process generally takes one month, but it is dependent on the judge and his/her schedule. So it could be sooner, or it could be longer. The most important thing is that it is in God’s hands and we are nearing the end of our wait!We sure miss “Z”!! We cannot wait to hold her again and bring her home to her forever family!! I look at her picture(s) daily and am so excited to squeeze her in my arms and hold her tight!! Obicham Te “Z”!!! Amy and I sure need to get her room ready! We are going to paint it her favorite color, yellow. 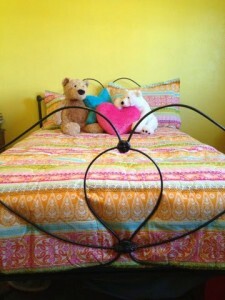 Amy bought her a beautiful comforter for her bed! Between Amy and her mom, Cindi, “Z” will have a complete wardrobe! Plus we have received several bags of clothes from friends and we appreciate the love and gifts!! Please continue to pray that our journey follows God’s plan and we will have “Z” home soon!! I also ask everyone to pray for all the orphans and adoptive families!! The need is great and I pray that all the orphans will find the necessary love of a forever family!! It has been 16 weeks since we last saw “Z” and we sure miss her! The adoption can seem like an endless process, but we know the adoption is in God’s hands and He has His perfect plan. In our last blog post, I shared that our file was given to the Bulgarian Ministry of Justice on January 31st to review our adoption. This process takes approximately 30 days. What we did not realize at the time is that after the Judge reviews the file and turns it to the court, it may take a couple of weeks to set a court date and that date may be 4 to 6 weeks later than that. Again though, the adoption is in God’s hand and He knew Amy is completing her Masters in Education and completing her dossier. Therefore, God is allowing her to focus on her studies before our next trip. Amy should have her dossier submitted and Masters completed by the end of March. She will be so relieved to have this behind her!! Based on time lines, there is the possibility our court date will be set around Easter. While, we do not have a court date, nor know if Easter will be the approximate date, but I received chills when I looked at the calendar and saw Easter. If you remember, or have read past blogs, our fourth day with Z, we toured the Klisurski Monastery of St. Cyril and St. Methodius. 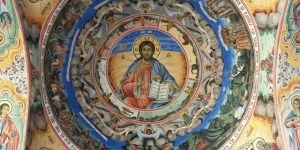 While there, we wanted to get a small present for Z as this monastery was near her birth place of Berkovitsa. When we asked what would be a nice gift from the monastery, the nun stated that Z’s name represented “To Live,” like the resurrection. How cool is that! Our precious Z turned 10 on March 6. We hope she had a blessed birthday!! On her birthday, the Judge turned our file (Agreement to adopt Z) over to the courts. Now we just wait the week or two to get a court date. Once we have the date, we can plan our travel!! YAYYYYYYYYY!! Please continue to support us and all those adopting by keeping us in your thoughts and prayers! We love you all and cannot wait for everyone to meet our precious Z!! Sunday, April 13, 2014 – It Is Time! On March 28th, Amy and I received the Bulgarian court’s approval to adopt Z (Soon, we will be able to use her name). After approval, we only had to wait a week for the approval to be officially filed into the system. The next steps have been to prepare our trip to Sofia to finalize the adoption. With Easter and other Bulgarian holidays, we had to wait until May to travel. 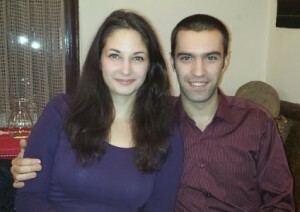 I am so happy to say we have bought our airline tickets to leave the States on May 6th, and get to Sofia on May 7th. We then will go get Z from the orphanage and she will be with us the rest of our lives!!!!!! That is just so amazing to say!! We must be in Sofia for ten days to complete all the necessary steps to finalize the adoption and the steps to allow her into the US. While I am not sure of all we have to do, we are confident our agency in Bulgaria will guide us all the way. We have also rented a two bedroom apartment in Sofia for our time there. We cannot wait to start bonding and being the loving and caring parents Z has always deserved! The adoption journey can be a trying time and can pull on the emotions, but it has been such a blessing! Every step has proved to be in God’s hands!! Even when we get Z home, the journey will not end, but will start a new chapter. A chapter we are ready to start! Thank you all again for your support! The financial support and most importantly, your prayer support has helped bring us to Z and we will have her home soon. We will be home with Z on May 17th! What a glorious homecoming that will be. God bless you all and I cannot wait for you all to meet our precious Z!! May 6, 2014 seemed like it would never get here, and then the next thing we knew, it was upon us and we had to get prepared for the next step in our journey. We got the boys over to my parents late on the 5th and then we went home to finalize our preparations. I do thank God for the wake up call the next morning as we needed to leave town early and I apparently turned the alarm off instead of getting up when we originally planned. However, we did get on the road on time…..at 3:45am. Our drive to Dallas was smooth (Amy got some rest and I managed to stay awake the whole way). 25 hours after jumping in the car, we were at the Sofia airport picking up our luggage. Besides the happiness to see all our luggage arrive with us, it was so awesome to have to bring additional luggage; A suitcase with Zoya’s clothes and toys. We then met up with our translator, Ivan, and our driver, Dimo, and headed to our rented apartment. After settling in, Amy and I took advantage of some quiet time and caught up on some necessary rest!! …..That leads us to the next chapter of our lives!! Thursday, May 8: Ivan and Dimo picked us up from our apartment at 7:30am and we headed to the village of Gavril Genovo. After our 2 1/2 hour drive, we made the familiar turn down the road to Zoya’s orphanage. The butterflies really started to hit Amy and I as we headed through the gate and towards the door. That is when we see Zoya in the front window and we could see her familiar smile!! The door opened and out came Zoya…….A big hug erased all the butterflies! We finally have Zoya in our arms again!! After delivering gifts to the orphanage and finalizing paperwork, Zoya said her goodbyes to the orphanage for the last time! Zoya held our hands and we walked to the car. Though, it was another 2 1/2 hours in a car, it was so cool to have her fall asleep in my lap!! We arrived back in Sofia and met Maya, our Bulgarian adoption representative (and Ivan’s boss and Dimo’s mom) at the immigration center to start Zoya’s passport process. While, I may be biased, Zoya’s passport photo blows all other identification photos out of the water. It was then time for a late lunch. We found a nice pizzaria down the street from our apartment. We ordered a couple of pizzas thinking we would bring the left overs back to the apartment for later. Nope, that did not happen. First, I have a pizza addiction and I can pretty much put down more pizza than any person should eat in one sitting. But found out, Zoya can hold her own, as she put down four slices and a small plate of spaghetti. After lunch, we said goodbye to Ivan for the rest of the day. Amy and I are now alone with Zoya for the first time ever. It is time for us to be her parents and for her to be a daughter in a loving family!! It is also time to see how well we can communicate with each other. Zoya does not speak English and while Amy and I are trying, we do not speak much Bulgarian. It has been a little over 5 hours and God has continued his blessings as we have been able to pass the communication test. While we do not understand all she is telling us in speech, we do understand what her needs are by action and constant interaction. Amy has done a fantastic job creating ways to teach Zoya and for us to learn from her. I am always amazed with Amy and her interaction with children!! Zoya has definitely tested her limits with us and we have had to ensure boundaries are not to be broken or compromised. It has been such a glorious day!! Amy and I have been able to hold and hug our precious Zoya!! Holding hands while walking down the street are memories that will last forever!! Amy gave Zoya a bath and put her in brand new PJ’s. 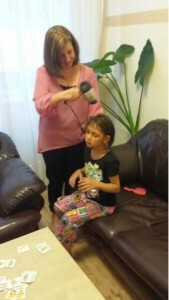 It is so cool to see Amy with our daughter, making her all pretty; blow drying her hair and putting bows on her head! It is getting late and it is time to put Zoya to bed (and Amy and I are about to fall over asleep)!!! Please continue to pray as this chapter in our lives will last forever!! Thank you all for your support!! Sunday, May 11, 2014 – The Learning Curve! Amy and I are now finishing our 4th day being Zoya’s parents and while it has been a very blessed time, both Zoya and us have had a some adjusting to do. First, there is the language barrier. Amy has been doing a fairly good job retaining some words and phrases to help in communicating. I have been limited to a few words here and there, and Zoya just laughs at my attempts. Something else…Just as I had to learn in India, head nodding is opposite of what us Americans understand. Up and Down means “No,” and side to side means “Yes.” Again, Zoya laughs at my attempts to understand this difference. Each day Zoya is learning more and more of what she can get away with, but the testing is continuous. When we must get onto her, she just laughs at us until she realizes the seriousness of our tone and face. All in all, I think we are being effective in teaching her that we are in charge as parents. Lastly, though Zoya is 10 years old, Amy and I feel as if we have a toddler in the house (Sofia apartment) again. Zoya has had extremely limited experiences in her life. Amy gave her probably one of her first baths of her life (probably only had showers at the orphanage) on Thursday night. On Friday night, Amy let Zoya be a child and just splash and have a great time!! Though, I was not allowed to this party, it will be one of my favorite memories. Zoya was laughing so much it was amazing to hear!! All I could do is laugh from my seat in the living room! Once the bath was complete, Amy comes out of the bathroom soaked to the bone! Not to mention that the bathroom needed some mopping! Now each night when we say it is time to put PJ’s on, she give us the hand signalling that it is bath time…..and the suckers we are, Amy takes her to the bathroom for a bath! It is also very cute to watch her and Amy blow dry her hair (even I have helped with her hair). Back to the toddler experience; we have to watch what we leave down. Her curiosity is rampant and she gets into everything. So we must keep anything harmful out of reach. This morning she saw me shaving my head and later in the morning, I wondered what was taking her so long in the bathroom, and as it is with most children, the quieter they are the more scared you get. Finally, I ask if all is ok and as she exits the door, one side of her face is covered in shaving cream. Oh, the life as a parent! Amy and I are just so excited for her, and as long as she does not get hurt, we are happy she is experiencing new things…..I am just glad she could not reach my razor! Since my last post, we have had some fun being tourist as well as parents. On Friday, along with Ivan, we walked around Sofia and toured the Archaeological Museum and the Temple Sveta Sofia. On Saturday, we took Zoya to her first movie in a movie theater. 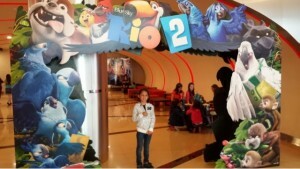 We watched Rio 2 in Bulgarian. And the movie would not be complete without a jumbo popcorn, large bag of M&M’s and a soda. After the movie we went shoe shopping and bought Zoya some new shoes. Not 100%, but Zoya may have been just excited about the new shoes as she was about the movie. Later in the evening, we successfully connected with the boys via Face Time. Zoya and the boys were able to see and talk to each other for the first time!! It was so good to see the boy’s faces!! But I think the time was so good for Zoya! She even told Stephen and Coen (Amy figured it out…..again, she is amazing at understanding Zoya) that she wished they were here so she could hug and kiss them! Then she said those precious words, Obicham te (I love you) to the boys!! It was so cool!! Zoya was so excited to see them and she talked about it constantly. 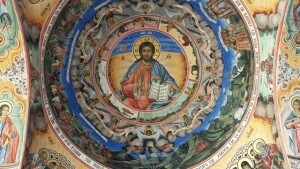 Today, we went for a tour of the Boyana Church (боянска църква) and the National Museum of History (национален исторически музей). The tours of these two venues were amazing……for Amy, myself and Ivan. Not so much for Zoya. As with 99% of all children, museums and historical sites are not all that interesting. None the less, there were at least playground equipment near both and she got to have some fun. As I have stated in prior posts, Ivan has a Bachelors in History so we do not just walk around, we get an education. 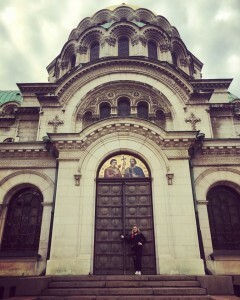 It is so cool to learn so much about Bulgaria and its rich history!! So many of the museum items go back as far as the 17th century BC. The National Museum of History takes you to the early BC years and as you make your way around this large museum, you eventually make it to recent history. Amy and I are always in AWWWWW!! We thank Ivan for all our tours!! Going back to Zoya not having much fun in the museums and other historical sites, she has really enjoyed the playground equipment we find. It is obvious she has not had much time on some of the equipment and can get scared at times. But that is when I get so proud of her. If I am with her and show her that all will be ok, she will give it a try (most of the time) and she proves she can do it. The smile on her face when she does something new is priceless!! As with our first trip, the Bulgarian cuisine is very good! We have eaten many different things (again, we are so happy Ivan is with us most of the time to help us order). Today, I had ox toungue. I even convined Amy to try it and she admitted it was good and tender. I have had beef tongue in the past, so now I can take ox tongue off my list of new foods. Near our apartment is a tiny market with fresh fruit and veggies (it is like a small convenient store as well). The fruit and veggies come from a nearby so it is all fresh. All I can say it is absolutely wonderful and the best tasting fruit and veggies we have ever eaten. The staff at the market is very nice and helpful. I think the novelty of having some Americans come in the store often is neat to them. Well, this post went longer than I expected and I know it may not been as exciting as prior post, but it is good for Amy and I to look back on our experience here in Bulgaria. This blog also serves as our future reminder of our first days with Zoya! If the last 4 days are an indicator of our future……We are so excited! God has blessed us dearly with two wonderful boys and now a wonderful daughter!! Today is Mother’s Day! All I can say is….Stephen, Coen and Zoya have an Angel for a Mom!! She is the most wonderful person I know! She is not only my best friend, she is the most wonderful wife and mother of all three of our children!! Obicham te Amy!! Thank you for all you do!! Happy Mother’s Day Amy!! Friday, May 16, 2014 – It Is Final! ut 4pm Sofia time, May 16, Zoya’s passport included her Visa and was picked up at the US Embassy. About an hour later we met up with Maya, our Bulgarian adoption representative, who had Zoya’s passport and we had a celebretory dinner. At the dinner, we received all the final documents regarding Zoya! Our adoption is complete! PRAISE GOD!!!!! Now that I have shared all the great news, I would like to share our experiences over the last couple days with Zoya. In short, they have been great!! As mentioned before, Zoya is quickly getting more and more comfortable with Amy and I as her parents. She is such a joy!! Her laugh is very contagious, so I tickle her as often as I can!! We did however have one of those moments all parents experience with their children, and that is a deliberate disobedience to something that has been repeated over and over. Amy and I (and Ivan) have explained to Zoya that when we are walking near streets and especially when we are crossing a street, that she must hold one of our hands. Zoya does not have much experience around cars and traffic. The village she is from may only have a few cars, and with the exception of the orphanage worker’s cars, I never saw another vehicle. The first busy street we crossed, Zoya almost broke out of my grip and she put herself in danger of being hit by a car. Therefore, since then we have been adamant that she hold one of our hands. Well yesterday, Amy and I along with Zoya were returning back to the apartment from lunch and I pointed out a dog sleeping on the sidewalk. Zoya has not been around many animals/pets, so she is fearful of them, so when I pointed at the dog, she yanked her hand out of my hand and darted across the street. Fortunately, the car coming down the street was about a 1/4 a block away and Zoya was not in dire danger. However, it scared Amy and I to death. As all parents should do, we had to really get onto her about how that was not a good thing and she could have been seriously hurt. So we punished her by taking away some of her toys and gave her a stern lecture. At the end, we requested that she apologize, but at first she did not quite understand what we were trying to say (again, the language barrier was in play). Eventually, Amy got the point across, but Zoya decided to be a little stubbarn and would not apologize. She could also sense that Amy and I were not pleased with her disobedience. We gave her the option, apologize or go to bed. She refused to apologize. As Amy, took Zoya to her room, she started to realize our displeasure and started to weep (this is something Zoya does not do…cry. Even the orphanage stated she rarely cries, even when she gets hurt). Zoya, then decided it was time to apologize to me for braking away from my hand and being disobedient. Zoya came up to me and as she started to apologize she started to cry uncontrollably. You could legitamately see the sincerity in her apology!! As an orphan, you can tell she, as with other orphans, have it in their mind that they would be taken back to the orphanage if their paremts were unhappy with them. Her teary apology broke my heart!! I gave her a major hug and had to fight back my own tears. Amy and I then explained that the reason we have rules is to protect her! We want to protect her because we love her!! While it was a tough situation, it was a major milestone for all of us! Today, May 16th, we explained to Zoya that today is our last day in Bulgaria and we are headed to America tomorrow. Zoya has been non-stop excited!! She cannot stop talking about it! I think every stranger that walked by was told that she is headed to America!! The excitement in her face and heart have been awesome to see!! While today is our last day in Bulgaria and Amy and I are so excited to get Zoya home and to be with our two beautiful boys, Stephen and Coen, it is also bitter sweet. We are also leaving behind new friends. Ivan, Mihaela and Maya will all be missed!! We have joked that we will start the adoption process to adopt Ivan, but looks like we will have to pass as Mihaela, Ivan’s girlfriend says no! We are so happy though to be headed home. We miss our family so much and we cannot wait to show off our newest family member, Zoya Angelova Hollis!! She will fit in perfectly as God has placed us all together to be a family! Zoya is a gift from God and we will cherish her forever! Stephen and Coen; we love you and can’t wait to introduce to you, your new sister. Along with Mom and Dad, your job as big brothers are to protect and love her! Amy, Zoya and I left our apartment in Sofia on May 17, at 5am (Friday, May 16, 8pm MST). Twenty-eight hours later, midnight in Carlsbad, we arrived at our house, Zoya’s forever home! Now let me summarize our 28 hours of travel: All three of us did not get a full night of sleep before our early morning rise. Zoya was over excited and Amy and I were making sure all our bags were packed and ready to go. Our 4am wakeup came quick. Though Zoya should have been tired, she was up and ready to go. She repeated over and over that we were headed to America and she would see Stephen and Coen. When I say repeated, I mean repeated hundreds of times!! It was so cool. Maya and Ivan picked us up right at 5am and we headed to the Sofia airport. The airport was packed and of course the kiosks were having issue, but after several hiccups of getting in the system, we were checked in. Now it was time to say goodbye to Maya and Ivan. Again, we were so ready to come home, but it is always hard to say goodbye to friends. We then proceeded through security and passport check. The passport check was our first time to show proof that Zoya was our adopted child. All went well and we were so glad Maya showed us step by step process of what all the passport checks will need to see and what immigration in the states would need to process Zoya. We arrived at our gate in plenty of time. If I have not mentioned in prior posts, Zoya is impatient. She kept asking “what we were waiting for, the plane is right there.” We over and over repeated that we had to wait until the plane is ready. After several impatient requests, Amy Google Translated what we thought was “We cannot go right now….” because the plane was not ready, however, Zoya understood it as “We are not going now.” She almost collapsed to her knees and started to sob and pretty much went into a panic. Amy and I were confused at first until we caught on to what she was saying, and we both quickly started punching in a new translation into Google Translate. We finally got the correct translation out and as quick as she sobbed, she was back to saying “Going to America!” and of course; “What are we waiting for?” Finally, we made it on the plane. In short, the flight to Frankfurt is about 2 hours, had a short wait in Frankfurt and then had a 10 plus hour flight to Dallas. Zoya, could not have been any better! She was an angel! Amy and I were so proud of her! Zoya was not only a great passenger, she did not sleep one minute of the flight. As with most children, if they do not sleep, you do not sleep. Amy and I were so tired by time we got to Dallas. And we still have a 7 hour drive ahead of us. But first, we have to go through passport check and then go to the immigration processing station. Two and a half hours later, Zoya was a US citizen based on her IH3 visa. Finally, we arrived at our car and the long drive started. Guess who fell asleep minutes after getting on the freeway….yep, Zoya and Amy were snoring! We stopped in Abilene for Whataburger and Zoya’s first meal in America. Then the drive continued…. At midnight, Amy called her mom to let her know we were pulling into town. She told us that the boys were waiting up for us. I think Amy and I perked up immediately knowing we would be able to see Stephen and Coen! We woke Zoya up and we pulled into the driveway. Zoya knew immediately from pictures, this was her HOME! We all got out of the car and headed to the front door, but before we could get in the door, we could hear the boys running down the street from Mamaw’s house so we waited for our warm greeting! That is when we witnessed a heartwarming event and something I will not ever forget! Zoya saw Stephen first and ran towards him, just like in the movies, Stephen and Zoya ran into each other’s arms and hugged. She squeezed him and gave him a kiss on the cheek. Seconds later, Coen came behind Stephen on a skooter and Zoya ran to him and the two of them hugged tight and she kissed him on the cheek! It was so beautiful!! We then went into the house and regardless of how tired we were, Zoya was now experiencing her first ever bedroom. She was also so excited to have her brothers. The three of them went on for about an hour before we all started to wind down for the night. We have been home now for over a week and all we can say is that Zoya has continued to bless us! We are trying not to overwhelm Zoya in any way, but based on her reaction and response to everything to this point, we are not sure if she get’s overwhelmed. She has been very friendly with all our family and friends. We arrived back in the states at a very busy time. It was the last week of school and our nephew, Nick graduated so we had lots of family in town. We took Zoya to the school Amy teaches at and where Coen attends. It is also the school Zoya will attend next year. All the teachers and students that have supported our adoption were so excited to meet her and likewise, Zoya was so excited to meet them. I also took her to CNB, the bank I work at as they have all been wanting to meet her. She gave everyone hugs and it was nice to see how well she is doing around everyone. Throughout the week, we see all the “FIRSTS” for Zoya. From riding a skooter, to jumping on a trampolene, to playing with different toys, and to eating different foods. She is not shy to try anything. She is very coordinated and picks up new tasks easily. She will try new foods (we are not shocking her with any thing crazy or spicy). She is amazing! Now, in a few years, Zoya will probably be mad at me for putting this in a blog, but I feel it is a huge accomplishment. One of the issues the orphanage staff told us was that she occassionally wets the bed at night. In Sofia, 8 of the 10 nights, Zoya did have an accident during the night. Some were legitamate accidents, and some did not appear to be accidents, but on purpose. That is when Amy and I had a thought that in the orphanage, they may not have been able, or allowed, to leave their rooms during the night and that at times may have just wet the bed out of necessity and not just accident. So we asked Ivan to explain to her that it was ok to get up and go to the restroom. So he did and she understood now that it was ok to get up at any time. She still had an accident, but there were no more “on purpose” messes. We are more proud to say that since she has been home, here in Carlsbad (nine nights), she has had Zero accidents!! She is so comfortable in her home and in her own bed! Zoya is understanding us more and more. While she may not be able to speak English back to us, she is understanding English quickly. She is starting to say some things in English and we praise her and encourage her when she does. This summer Amy will work with her regularly and prepare her for the next school year. Amy and I thank God for blessing us with two beautiful and supportive sons and now with a beautiful daughter!! We are a very happy and loving family of FIVE!! We are truely BLESSED!! Also, thank you everyone that has supported us through out our journey!! It is so cool seeing people wear our Love shirts. We are also so overwhlemed with support from everyone! We love you all for everything, expecially, the love and support from our family!! Monday, September 22, 2014 – A Blessed 4 Months!! Hello!! I apologize for the delay in updating the blog. Our entire family has had a busy summer….you know; regular life and adopting a beautiful daughter and all! HAHAAll and all we have had a very busy summer. As soon as we returned from Bulgaria, we were in full swing of baseball and did not finish the season until mid-July. Then it was time to take some time off for a family vacation. Then next thing we knew Amy and all three kids were back in school (Amy teaching and the kids learning).Enough with the excuse of a busy summer! You all want to hear how Zoya is adjusting to being a Hollis.Where to start……oh yeah, from the end of the last blog.Our friends and family threw a shower for Zoya and it was a beautiful day! It was such a pleasure to see all the love and support for Zoya’s new beginning. She loved all the attention! She received many gifts of toys and decorations for her room. She would open a new gift and ask, “Ha Зоя?” (pronounced nă Zoya, and translated “for Zoya?”). You could see the excitement in her face when we would tell her yes, it is for Zoya. A child that pretty much had nothing of her own and had to share everything now has her own things. She even had to share her clothes at the orphanage. Not any more! All this was just for her! She is now a princess in her mind! She was very appreciative as well, telling everyone thank you. And I am pretty sure all those that attended received multiple hugs! Thanks to all that came see Zoya! Zoya enjoyed the baseball season, not because she wanted to play or watch baseball, but because many of our friends would be in the stands and she could play with their kids. It is so cool to see other children play with Zoya even though they do not share the same language. The other kids would all try to speak basic Bulgarian to her. So every now and then you would hear other kids saying Da for yes and Neh for no. Communication improves every day. During the first couple of months, we communicated well, but had to rely quite a bit on Google translate to get our point across. For the basics, even though Zoya spoke in Bulgarian and we spoke in English, we knew what each other were trying to say. During the last month, communication has improved greatly! Amy and I only need to use the translator for things we have never discussed. Zoya more and more is using English words when talking. I joke that some of her sentences are in Bulgenglish. Today, Amy asked her what an apple was in Bulgarian because we had forgotten, and Zoya had almost forgot as well. Zoya started summer school in July and she absolutely loved going to school. We were so happy that Sunset Elementary, the same school Amy teaches at and where Coen attends, was offering the 6 week summer program. This was summer school to help children keep on track and hold onto the education normalcy. So we decided that this would be a good step in getting Zoya prepared for the actual school year. We decided to start Zoya in the 3rd grade. She is 5th grade age, but as I may have stated in a prior blog, she could not read or write Bulgarian. In orphanages, the tendency is not to ensure all the children progress with their education. They just ensure they make it to and from school. There is no accountability ensuring that homework is completed and/or if they progress as they should. Zoya was tested when she started school and her education level was at a pre-kindergarten level. Summer school was a true positive for Zoya. Not only did she enjoy school, she was getting prepared for the school year. School started mid-August and Zoya started in the 3rd grade, but spends the majority of her day with the special education teacher. In all, Zoya has done well in school. The positives are that she is progressing with her education. It can be difficult at times, but she is progressing. In regards to behavior, she is pretty good. There have been times when she has acted out in displeasure, but most of the time she displays good behavior. When she gets tired and frustrated she starts to shut down. If she is held accountable and there is perseverance in instruction, she continues to try. If she is allowed to get out of working, she takes that opportunity. The downside of being in special education is that there can be multiple types of personalities and attitudes. A couple times, Zoya has tried to act like one of the other children in class that is in continuous trouble. After Zoya learned that the teacher will just go get mommy down the hall and that daddy and mommy do not appreciate bad behavior, she has been much better. Zoya does aim to please, so that is a true positive in her education and behavior patterns. In summary, Amy and I have told all, whether it be her teacher or any adult, treat her as they would their own child. Just because she spent her life in an orphanage and is the new kid, she needs to be treated and taught the same as every child. If you show favor or become lax, she will take advantage of it and will think she does not have to try hard and can act in less desirable ways. Zoya spent her first 10 years without structure and stability. Now that her life is stable, we pray her education will strive in the way she needs. Her recent test show that she has improved to kindergarten plus 6 months. This is a definite improvement and we are so proud of our Zoya!!! She is a smart and intelligent child! It is only a matter of time. Before school started, we took time to go camping. Camping is one of our family favorite things to do. We love nature and getting away from daily life and distractions. We camped for four days at Monjeau Peak, near Ruidoso, NM. The four days were awesome! We dealt with some rainy weather, but that did not dampen our fun together. Zoya got to experience many more “Firsts.” Zoya got to go fishing, sit by the campfire and roast marshmallows, and of course eat her first smore. Zoya even got to go for her first hike in the mountains. We learned quickly that Zoya’s opinion to hiking was less pleasurable. She kept wondering where are we going and when to we get there. For her sake, the rain started to come in and we had to cut our hike short. Again this was a great time with the whole family!! Zoya got to celebrate her first Independence Day for America on the 4th of July. It was so cute hearing her walk around the house saying it is America’s birthday! 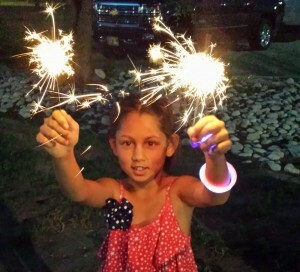 She enjoyed the fireworks and playing with sparklers. She looked so pretty in her red, white and blue! I took Zoya to the eye doctor for her first examination in the states. In Bulgaria, they did an exam and they were going to put her in glasses. When we arrived to pick to get her, we noticed she was not wearing glasses. When we inquired about her glasses, they said Zoya intentionally lost them as they were bulky and heavy. I am pretty sure they were free or very cheap glasses and not kid friendly or comfortable. Zoya does have a lazy left eye and after ten years, her brain has started to just rely on focusing with her right eye. The exam went well, long, but well. The staff was absolutely wonderful at the Eye Site. In fact, they even started to speak some Bulgarian by the end of the exam. Zoya has been fitted with glasses and must wear them all the time, except when on the playground. The glasses should help her left eye strengthen and may eventually correct her overall focusing. Zoya has been to the dentist and I will not get into to many details, but we are pretty sure she will be an expensive child in regards to her teeth. In short, she will need to have braces in the future. But first, Dr Simmons is having to research something we have not seen before. Zoya’s front two teeth are fused together. Next step is to see if the two teeth share the same root, or just fused above the gums. Not sure of the fix, if any, but all will be good. 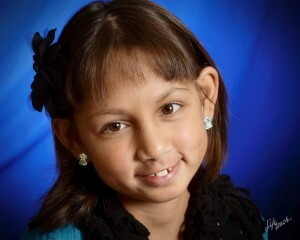 Zoya is already a beautiful girl, so regardless if her teeth can be 100% corrected she will continue to be beautiful! Zoya has also gone to our pediatrician for one vaccination and a general physical. All is well with her health. Zoya loves going to church as well. She loves being around the other kids! One Sunday she was ill with a horrible cough and congestion so we decided she should stay home. She agreed to the decision but after I left the room and came back she had tears in her eyes. It broke our heart! She was so sad she was not able to go to church. As you can read above, we have had a very busy four months and I most likely forgot to share all the stories. But the reality is that our life with Zoya is a blessing! The relationship between Stephen, Coen and Zoya is amazing! It is like they have been brothers and sister their entire lives. Stephen and Coen are such great brothers! They help Zoya out when she needs help and play with her when she is bored! Zoya looks up to her brothers and likes to spend time with them; even if it is only to watch them do their thing. With Coen and Zoya only 3 months apart in age, they are exactly what you would expect from a brother and sister. They aggravate each other (in a fun way), support each other and most important, laugh together! My, and Amy’s, favorite sound in the world is hearing our children laugh. You can hear them laughing in the same room, in their bedrooms and in the back seat of the car. It is such a contagious laugh! If you want to put a smile on my face….have a laughing child near me! But the thing that has made me respect Stephen and Coen the most…They love their sister, Zoya and they look after her. They always make sure she is ok! They know that Zoya is our little princess and their job is to help protect her. Without hesitation, they look after her best interest! As I just said, Zoya is my little princess! I tell her as often as I can that she is my princess and in return I get that smile I love to see! Amy and I love hearing her say “I yuv you!” She struggles with her “L’s” but it warms your heart regardless! While typing this blog, Zoya has done more than she was probably able to or allowed to do in her whole life. She has spent time playing with her brothers and cousins. She has been sitting at the table practicing her writing by spelling all our names, her grandparents’ names and her cousins’ names (and doing very well with it). And I just heard her ask Amy…”Mom, can I have a snack?” all in English. Life is good in the Hollis house! Our love for each other is stronger every day! And watching Zoya live with the life she deserves is priceless!! GOD is GOOD!! Throughout our adoption journey, I have written our blog based on our experience and time with Zoya. Our journey has been a glorious and blessed time. Over the past several months, we have seen so many milestones in Zoya’s life; The many “firsts” that Zoya has been able to experience. All the things we have taken for granted, Zoya has embraced them as if she was given the greatest treasures. Amy and I have taken some time lately and started looking back into our files and all the paperwork that went into adoption. Within the paperwork are Zoya’s reports from the courts and social workers. In addition to reading, Zoya has started to open up more about her life as an orphan. Some of her stories and depictions of growing up can just tear your heart open. Therefore, based on some research within the court papers that include a timeline of Zoya’s different placements in social care or orphanages and Zoya’s stories, I thought it would be nice to share Zoya’s journey. Disclaimer: I can write only what I have read and heard, I cannot depict what Zoya’s life was really like, nor have the emotional capacity to fathom what an orphan’s life is like. On that note, here is Zoya’s journey.March 6, 2004: Zoya Meglenova Angelova is born in Berkovitsa, District of Montana, and Country of Bulgaria. Zoya’s birth mother is known and father is unknown.June 9, 2004: Due to extreme poverty, a Social Assistance directorate is issued and Zoya is removed from her mother’s care and put into a home for medical and social care in the city of Berkovitsa. Courts rule that Zoya’s mother is unable to care for her because of extreme poverty.December 14, 2004: After 6 months, the Social Assistance directorate ceases and Zoya is placed back with her mother due to reintegration with her biological family and filing an application and statement with social services.Zoya lives with her mother for nearly two years, however on November 14, 2006 (nearly four month shy of her 3rd birthday), Zoya is placed back into the home for medical and social care in Berkovitsa due to her mother’s inability to raise her. Shortly after Zoya’s 4th birthday, she is transferred and placed into the Home for Children Deprived of Parental Care in the village of Georgy Damianovo on March 24, 2008. August 13, 2010: Zoya’s profile is submitted to be added to the Bulgarian national adoption registry and the courts officially added her to the registry on September 18, 2010. After no Bulgarian families showed interest in adopting Zoya, her profile was submitted to the international adoption registry on July 29, 2011. It is not until August 9, 2012, over a year later, that the courts officially added Zoya’s profile to the international adoption registry. Little did she know that on the other side of the world, a family in Carlsbad, NM would start the adoption process and send in their initial application on August 19, 2012, just 10 days after she was added to the registry. And 6 months later that very same family would open a web page listing children on the “Waiting Child” list and would see her for the first time. It was at that very moment, February 10, 2013, that Amy and I knew God put Zoya in our life and on February 14th, we signed papers to Zoya’s profile for adoption. Zoya remained in the Georgy Damianovo orphanage for three and a half years. On September 29, 2011, Zoya was placed in the Center of Family Placing orphanage located in the small village of Gavril Genovo. It is this orphanage Zoya would live until being united with her forever and loving family. Since Zoya was taken from her mother on November 2006, her mother only visited one time and made only one attempt to call her over the next seven years. Though, Zoya’s mother never gave consent for Zoya to be adopted, the courts determined she had no say in the matter as she never made attempts to integrate Zoya into her family. August 21, 2013: Our application to adopt Zoya is entered into the registrants and on September 18, 2013 the International Adoption Council determines we are suitable adoptive parents. October 8, 2013: The Bulgarian Ministry of Justice grants consent of the adoption procedure. Zoya is now told that a family wants to come and meet her and potentially adopt her. We are notified of the great news and start planning our travel to meet Zoya for the first time. This is considered the referral phase of the adoption. November 11, 2013: The day we get to meet our precious Zoya for the first time!! Zoya recently shared her remembrance of this day. Because we were coming, Zoya did not have to attend school that week, so Zoya was the only child there (except one other boy that was sick). Zoya said she was so excited to meet us and asked if she could wear a pretty pink dress for when we arrived. She said she anxiously awaited and looked out the front window facing the street……Then the car we were in pulls up and Zoya said, “There is my Mommy and Daddy!” We will never forget this day. Amy and I were so anxious and nervous at the same time. All we knew of Zoya was how quiet she was, so we thought she might be scared, shy or stand offish. Nothing could have been further from this as she ran into our arms for a huge hug. We spent about 4 to 5 beautiful hours a day until November 15th. Zoya had seen other children come and go during her time in the orphanage, so she was well aware that she would remain in the orphanage and that we would have to go back home without her. While, I may not currently know how that day was for her after we left, but for Amy and I, it was bitter sweet. We were heartbroken we had to leave our precious daughter at the orphanage, but eager that we were that much closer to finalizing the adoption. November 15, 2013: Amy and I leave Zoya and go to Sofia, the Bulgarian Capital, and sign our consent to adopt Zoya (acceptance of the referral) and the legal proceedings are now allowed to begin. January 23, 2014: The United States Department of State enters it’s agreement to continue our adoption process. 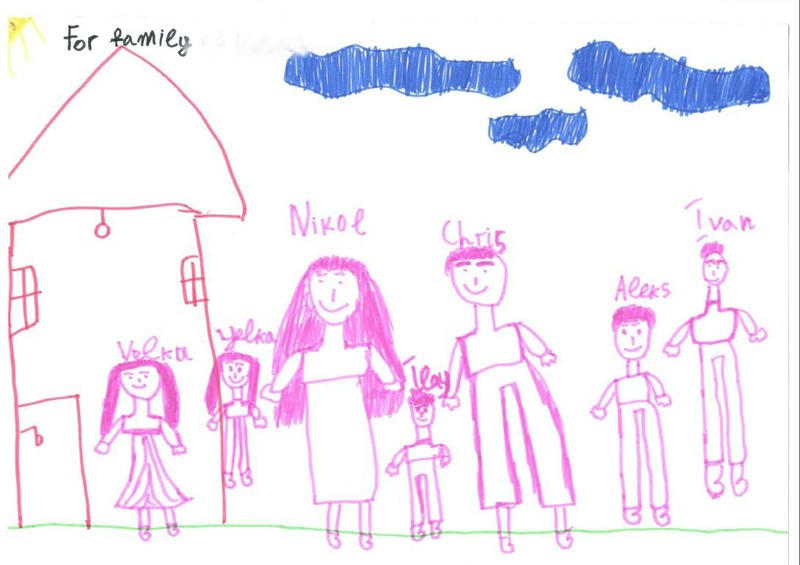 February 26, 2014: The Deputy Minister of Justice submits his letter giving consent for Zoya’s adoption to the Hollis Family. All that remains at this point is setting a court date. March 28, 2014: In the capital city of Sofia, court is in session to potentially finalize our adoption. Maya, our Bulgarian legal representation gives her testimony and then Zoya takes the stand and states her desire to join our family and acceptance of a name change to Zoya Angelova Hollis. The decision of the court was made shortly thereafter, approving our adoption of Zoya. I then receive a call while at work notifying me that our adoption is completed and approved! I call and leave Amy a message to call me as soon as she could. I wait for her call back to tell her our great news!! We officially are the parents of Zoya!! 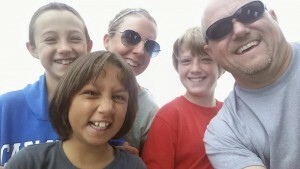 May 8, 2014: “GOTCHA DAY! !” As all adopting parents know, the day you pick up your child is called, gotcha day! It will forever be a second birthday for Zoya! Zoya spent approximately 8 total years in various orphanages and about 2 years in extreme poverty conditions with her biological mother. Zoya has shared some of her experiences with us. Some of the stories include being bullied by older children in the orphanages. Zoya has the scars all over to reflect this. Zoya does not remember much about her mother, but we do remember her fear of travelling through her birthplace of Berkovitsa while we were in Bulgaria. The heartwarming portion was that she said as long as her dad (me) was with her, she would feel safe and protected. Amazing how God already put in her heart that Amy and I will be her parents and will protect her, the rest of her life. The beautiful thing with Zoya, as of May 8, 2014, she no longer has to think about her past. Just as I have mentioned in prior blogs, Zoya’s name means “To Live,” as like the resurrection. Zoya’s prior life as an orphan is over! She now can live the life she deserves! God is so good! The bond between Zoya, her two brothers and us is beyond awesome! Most people comment on how if they did not know our story, they would have thought Zoya was in our life since her birth. Zoya has experienced many firsts. Thanksgiving was amazing and of course we had so much to be thankful for. Then there was Christmas! Just amazing! We asked Zoya about Christmas in Bulgaria and all she could tell us was that Santa would show up at the orphanage, knock on the door and would then give them some candy. Now, in the states, Zoya had a part in the church Christmas play, sang Christmas songs at the school program and just loved all the celebrations! Her joy on Christmas day was great! Her smile seemed permanent! We are just so happy Zoya had a great time! Some day Zoya will be able to share her story herself, but for now I am proud to share what I can. But more importantly, so proud and happy I can say I am her father, her DADDY!! The other day, I told her I love you, as I do many times a day and she responded with, “I love you more!” One proud and happy Daddy! 11 Kids Coming Home from Bulgaria! There’s nothing quite as amazing as watching a family finish their adoption and bring the newest members of their family home. It a long road to travel, but a worthwhile journey which has a lifelong impact on the lives of all those involved. 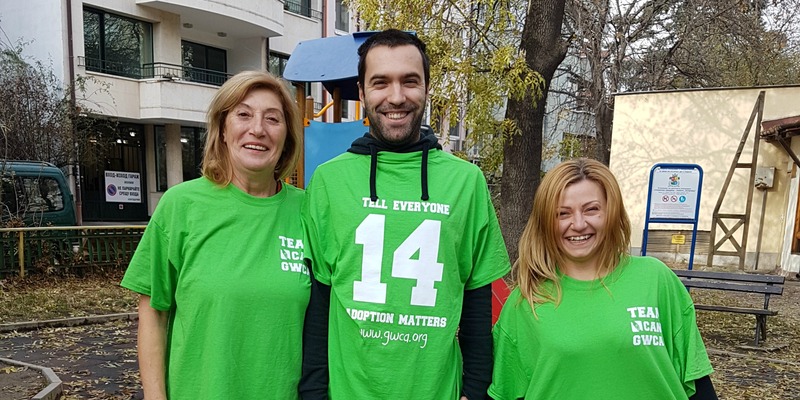 This month we are excited to congratulate four families in our Bulgaria adoption program who have just reached this milestone in their adoption journeys. These four families will be bringing home a total of eleven kids all of whom are in sibling groups of 2-4 kids! – Sibling group of 4 recently home! – Sibling group of 3 coming home soon! – Sibling set of 2 (Twins!) coming home this week! – Sibling set of 2 coming home soon! Congratulations to each and every one of these families from all of us at GWCA and CAN! It’s truly incredible to see so many sibling groups finding their forever homes, and we are hopeful that many more will be matched with families soon. Our Bulgaria Waiting Child adoption program is dedicated to finding homes for older children, sibling groups, and children of all ages with special needs. This program is a great option for families who are looking for a fast adoption process, as you can be matched with a child or sibling group at any point in your adoption journey. 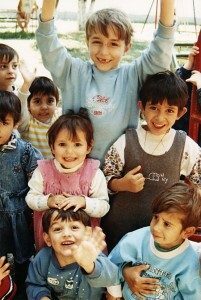 If you’re interested in learning more about our Bulgaria adoption program or the kids that we’re currently advocating for, visit CAN’s Waiting Child photo listing or contact our Bulgaria matching specialists today! If you are looking to grow your family through international adoption, our Bulgaria adoption program could be a great fit! As this program continues to grow, we are seeing more and more children’s files coming in each month, giving us the opportunity to help place children with loving Forever Families. Below are five reasons your family may want to consider beginning your Bulgaria adoption journey! For more information, contact our CAN matching specialists today! 1. Traditional and Waiting Child Programs – Bulgaria has both a Traditional Adoption program, and a Waiting Child track! Families that are waiting for a referral in the traditional adoption program are able to look at the Waiting Children that our agency is advocating for, giving them the option of switching to the Waiting Child program if that is where they find their child. 2. Get Matched Quickly – In our Waiting Child program, you get to play a role in the matching process, meaning you can submit your request to be matched as soon as you find your child! 3. 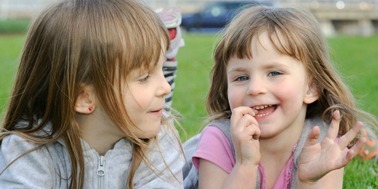 Siblings – Your family can be matched with a sibling group of 2 or more! While this is more common in the Waiting Child program, it is a possibility in the traditional program as well depending on the age range that you’re open to. Recently we’ve seen several sets of older twins in our Waiting Child program! 4. Healthy Older Children – Our Waiting Child program has children of all ages with varying degrees of needs. However, occasionally the only reason that a child is considered a “Waiting Child” is because they are older. 5. Younger Children – While younger healthy children are available through the traditional program, there are younger Waiting Children with special needs ranging anywhere from very minor to more moderate or severe. For families that are comfortable with needs, this is a great alternative which offers a shorter wait time. If your family is interested in learning more about either our Bulgaria Traditional Adoption program or our Waiting Child program, please contact our CAN Matching Specialist, visit our Photo Listing, or join our Facebook group today! 8 New Kids Added Today! 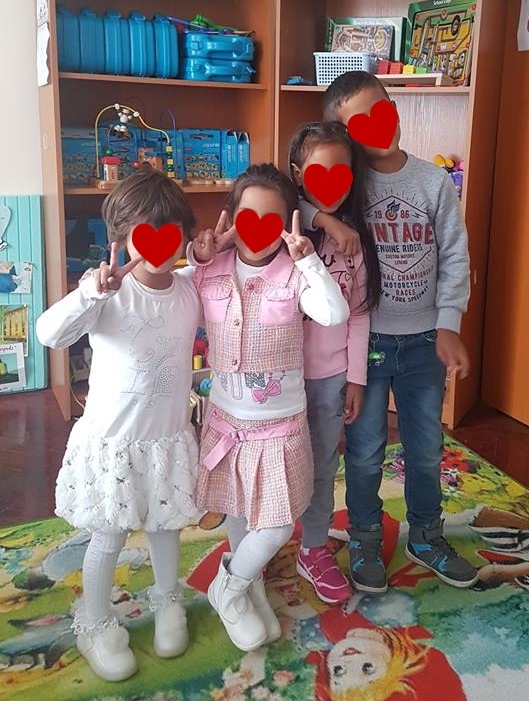 Our CAN adoption specialists recently received new files for children in our Bulgaria Waiting Child adoption program, and EIGHT of these kids have just been added to the CAN photo listing! One of the most appealing aspects of our Bulgaria Waiting Child adoption program is that families are able to be matched with a child or sibling group right away. That means even if you haven’t started your adoption journey you can request to be matched with one of our new kiddos! Visit our CAN photo listing or contact our matching specialists to view a child’s file! If you’re interested in learning more about our Bulgaria Waiting Child adoption program, visit the CAN website or contact an adoption specialist today! Several of the families in our Bulgaria adoption program have recently reached very exciting milestones in their adoption processes. While for some, this milestone is just the first of many, others are nearing the final leg of their adoption journey and preparing to welcome their child home forever! Kirk, one of the incredible kiddos that our CAN team met while they were in Bulgaria earlier this year, has been waiting a very long time to find his Forever Family. When our team first entered the room to meet with him, in fact, he was convinced that they were going to bring him home right then and there. This truly touched our CAN team’s hearts, and they were determined to help him find his family. Now, just a few short months later, one of the families in our Bulgaria Waiting Child adoption program has begun submitting their paperwork to be matched with him! 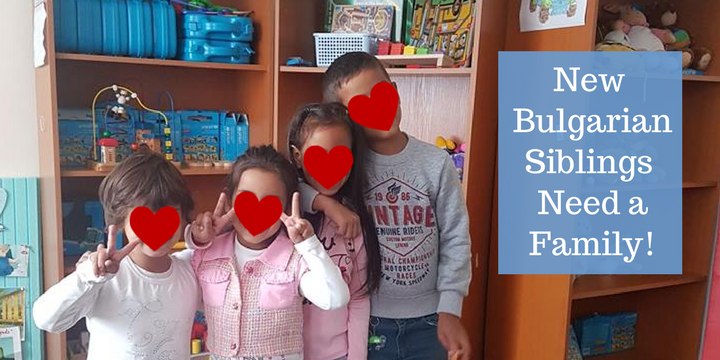 We just received news that one of the families in our Bulgaria Waiting Child adoption program has officially been matched with a sibling group of FOUR sisters! These adorable young ladies range in age from 8 to 16 years old, and have been waiting for a family for a very long time. We are so incredibly happy for them and their new Forever Family as they take one step closer to being united! Another one of the families in our Bulgaria Waiting Child adoption program is currently packing their bags and preparing to travel to Bulgaria this weekend for their bonding trip! This family has been matched with yet another sibling group of four kiddos – two boys and two girls. 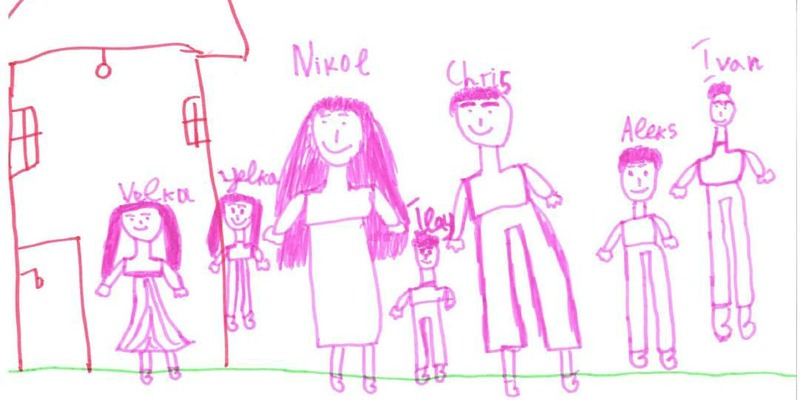 These four siblings are so excited to meet their new family, and even drew a photo (shown above) including their new mom, dad, and little brother! Lastly, we have one family from our Bulgaria adoption program that is preparing to travel for their final trip to bring their daughter home FOREVER! This particular family was matched with their daughter through our traditional Bulgaria adoption program, and they were overjoyed when they received their referral. We can’t wait to see them come home and we are so excited to continue following their journey! We are so happy for each and every one of these families as they take one step forward in their adoption journey. Congratulations from all of us at GWCA and CAN! 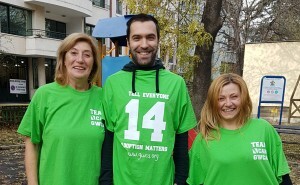 If you’re interested in learning more about CAN’s Bulgaria adoption program, visit the Bulgaria page on our website, contact our CAN matching specialists, or visit our Waiting Child photo listing to see children that we’re currently advocating for. 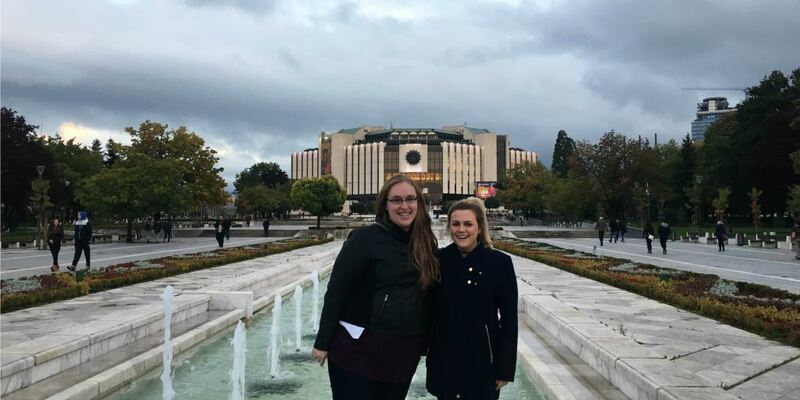 Last month during our CAN team’s trip to Bulgaria, they had the opportunity to meet with the incredible men and women who represent our agency in-country. CAN is currently partnered with two different NGOs in Bulgaria, each of which plays a vital role in our Waiting Child adoption program. One team of representatives is pictured here, wearing our TEAM CAN t-shirts! Our Bulgaria Waiting Child adoption program has grown so much in the past year, and we are looking forward to seeing this growth continue as even more Waiting Children will be coming this year! Why does CAN love Bulgaria? One of the many things that makes our Bulgaria Waiting Child adoption program so unique is the matching process. Unlike many adoption programs where families receive a referral based on the age range, gender and needs that they specify, our Bulgaria Waiting Child program provides them with the chance to play a role in their matching process. This program is also very open to families in terms of eligibility requirements, and offers a relatively quick process from the moment you apply till the day you bring your child home forever! Every two months, CAN’s in-country representatives attend a distribution meeting where they are able to select files. Throughout this process, they keep any current families’ adoption desires in mind with the hope that they will see a child or sibling group that might be a good fit for them. Once CAN receives these children’s files we begin to advocate on their behalf, both with current families and with families who request their file from our Waiting Child photo listing. One thing to keep in mind about the matching process for this program is that families can be matched with a child at ANY point in the process. This means even if you find your child before you’ve begun submitting paperwork, we can submit a request for you to be matched with them! 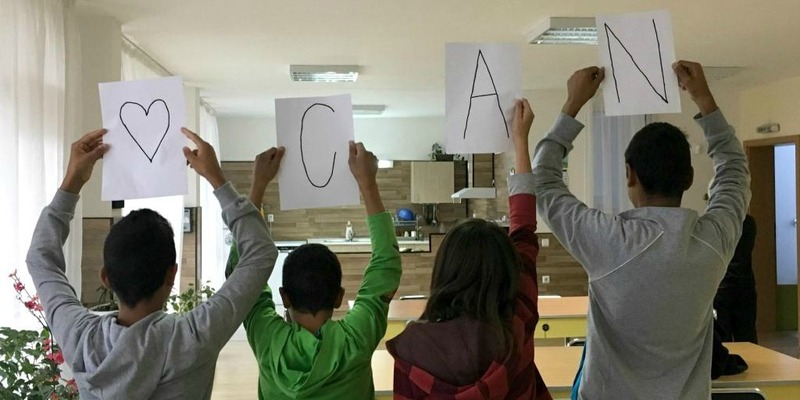 CAN is currently advocating for several children and sibling groups from Bulgaria with the hope that they will each find a loving family. Visit our Waiting Child photo listing today to view their profiles or request their full medical files! Sometimes finding families for certain children is hard..like really really hard. It takes a lot of creativity, determination, and passion to help these children find families that will give them and show them the love they deserve. In international adoption the most difficult children to place are those with special needs, older children (especially boys), and larger sibling groups. Many families who follow my Haiti blog know just how big of an impact older children have made in my life and advocating for them is a large portion of what I do EVERYDAY. Well kid, I agree. So, after meeting this spunky child with a small mohawk, a smile that lights up an entire room, and knows that he wants a family I would say it is time to hit the ground running and find him a forever family. The clock is ticking and all we need is YOU. Bulgaria is a country full of history, statues, culture, and prideful people. But, it is also a country with a lot of orphans. Especially orphans who have special needs or are a part of a larger sibling group. Bulgarian culture includes clothes created with immaculate stitching, dances that date back to generations from long ago, and buildings that have been standing as long as locals ancestors could remember. As you drive around the city you notice the economic hardships the country has faced and many of the buildings are marked with graffiti. A lot of the children who have been deemed orphans are typically given up do to poverty, parents mental state, and parents socioeconomic status. It is unimaginable to picture giving away your own child simply because you do not have the means to help you and your child survive…But, this is the reality for many parents in Bulgaria. The country is developing a stronger foster care system so thankfully the children are starting to live in a family based environment versus an institution. I cannot believe this incredible journey is now coming to and end. These past couple of days have been spent meeting with our current partners in country and also building relationships with potential new partners as a means to match more children with forever families. The program itself has grown tremendously over the past year and after this trip I anticipate the number of children matched per year to double, at least. Today we are going to an orphanage and I will get to meet one of the children whose file we recently received. Stay tuned! Our Bulgaria Waiting Child adoption program is a great fit for families that are open to children with needs or sibling groups. Unlike many other international adoption programs, our Bulgaria Waiting Child program allows families to request a match towards the beginning of their adoption process, rather than waiting until all of their paperwork is submitted. Each month, CAN advocates for a number of Waiting Children and sibling groups from Bulgaria, and their profiles can be found on our Waiting Child photo listing. If you’re interested in learning how you can be matched, contact our CAN matching specialists or visit our photo listing today! Click here to visit the CAN Waiting Child photo listing!